KidZania Singapore’s 3rd Birthday – The Biggest 3-Year-Old Party! 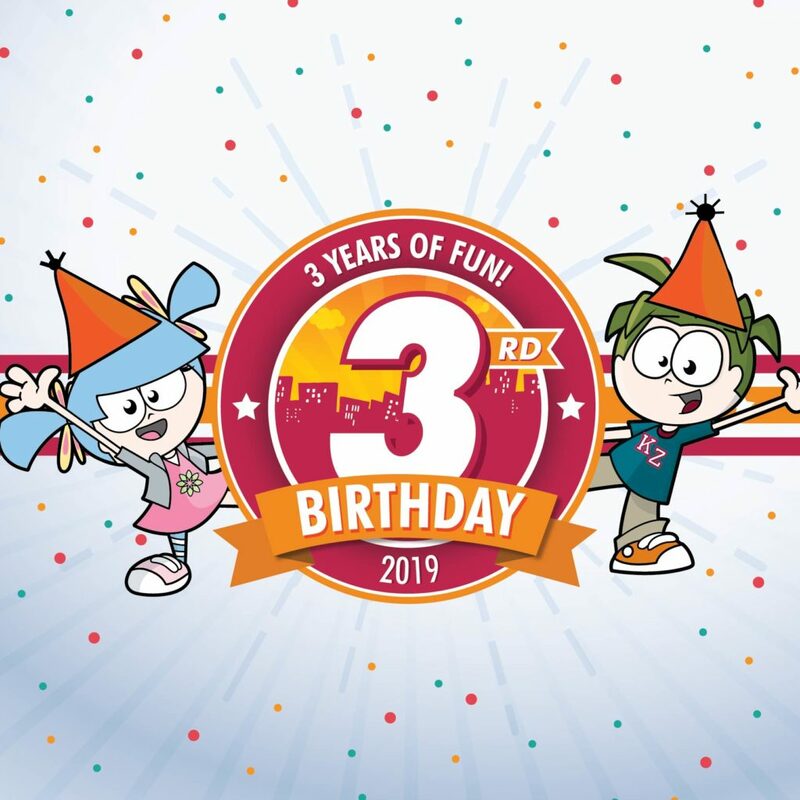 Come April, KidZania Singapore will celebrate its third birthday by offering free Kid admission to three-year-olds daily from 12 to 21 April 2019! Kids will need to present their identification to enter the city, and terms and conditions apply. Visitors can also look forward to a special birthday rendition of its City Parade on 20 and 21 April at 1.30pm. From now to 21 April 2019, KidZania Singapore will celebrate Singapore’s progress and achievement at KidZ & Heritage, with activities that shine a spotlight on Singapore’s founding and development. They will include a heritage photo booth, heritage role-play activities, a ‘History of Singapore’ Trivia Hunt around the City and even a drawing competition! As an ode to three, come in a group of three to enjoy 30% OFF Kid and Adult admission tickets throughout April! To mark KidZania Singapore’s third birthday, kids who visit the City in April will receive a limited edition debit card, while stocks last. KidZania Singapore will also inaugurate its second batch of CongreZZ members on 20 April. Through an intensive three-month selection process, up to 20 kids aged 7 to 12 years have been selected to form the national legislative body of KidZania Singapore, for a term of one year. During the inauguration, the pioneer batch of CongreZZ members will hand over the reins of office to the newly selected CongreZZ members. Since taking up the role last year, CongreZZ provided a conducive platform for the young minds to discuss key topics concerning the citiZens of KidZania, as well as take part in specially curated activities.